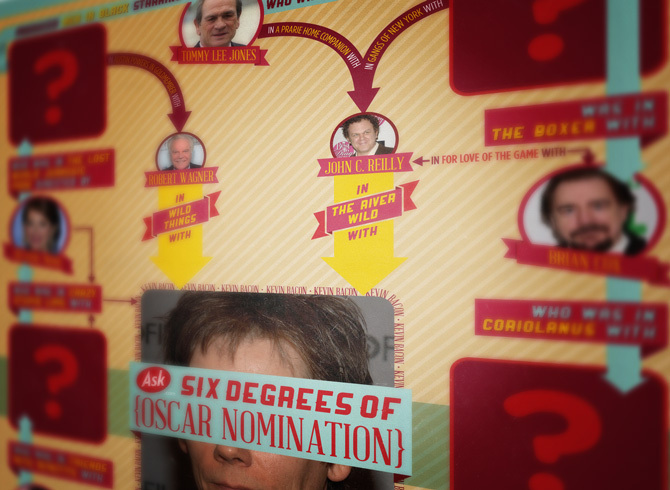 As a promotion for their Oscar coverage, Ask.com hired us to make an infographic version of the Kevin Bacon game. 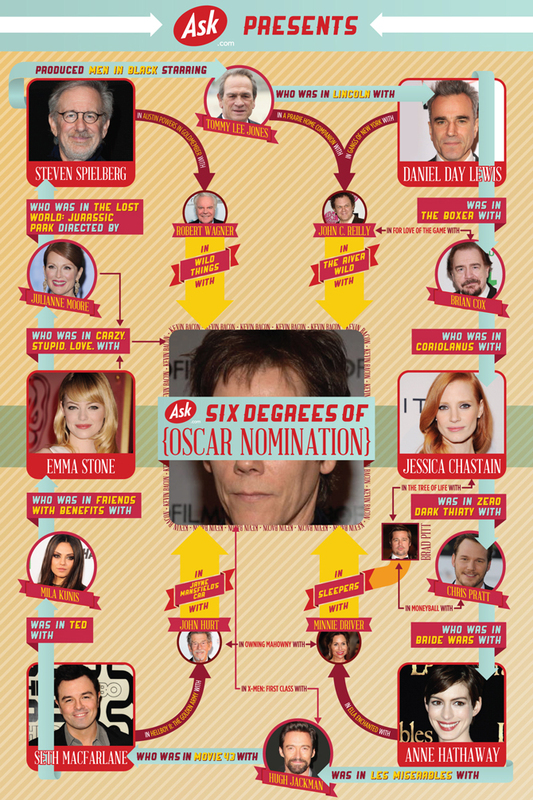 The infographic showed the degrees of separation between Bacon and several of the Oscar nominees. Originally intended to be a static infographic sent to members of the media along with cookies featuring the nominees, Ogmog suggested turning the cookies into an interactive component by leaving blank spaces on the infographic turning the whole thing into a puzzle. Two versions of the infographic were made: one with missing actors, and one as an answer key to be placed on Ask.com’s blog.